I am in dire need of some info. I recently purchased a boston fern at an estate sale. This thing is HUGE!! at least 4 feet in diameter and some of the fronds are 2 feet long. It is truly amazing, only the pot has dead leaves and stems in it. I am unable to feel any soil in the pot and I am concerned about the 12 inch pot it is in. Is it big enough to handle to plant within it? Nephrolepis exaltata ferns like it cool, and they would be very happy to have a 60 degree room, with bright light. Since it doubtful you have a place that cool, I recommend that you keep your fern as far away from heat sources as possible, even at the sacrifice of some light. Ferns thrive on humidity, so they appreciate a daily misting. If there are dead or dying fronds, cut them off, so that your plants energy can go to replacing them rather that supporting them. As far as watering, I've always had the best luck, when I would allow the pot to soak up water in a sink for a few hours, and then not water it again until the soil is dry again. 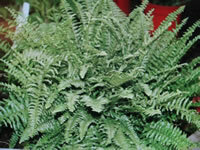 Feed your fern once a month with a half strength solution of a balanced (10-10-10) liquid houseplant fertilizer. From the sound of it you found a real treasure. I am sure that the plant is in need of some fresh soil, and to accomplish this you will either need to repot it in a larger pot, or divide it. Either of these options will create a certain amount of stress for the plant, but in the long run it will be beneficial. If you decide to repot, remove the plant from its current pot and carefully loosen up the root mass and remove as much of the old soil as possible. The roots will have become ingrown over time, and you will want them to be able to reach out into the new soil so you will want to take a very sharp knife and make 3-4, top to bottom vertical slices, about ½" deep, into the sides of the tangled root ball. This will allow a sufficient number of roots to begin growing outward again to support the needs of your fern while it recovers. You will undoubtedly do some damage to the roots, but don't worry about it, just do your best. You will want to use a 15 inch pot which will also be a bit deeper. Put enough good commercial potting soil into the bottom of the pot so that when you put the plant in, the original soil level will be about an inch below the rim of the pot. Clip off all of the dead fronds from the plant and put it into the new pot, then add more potting soil to the sides, watering liberally to move the soil down into the root structure. Keep adding soil until the pot is filled to within an inch of the pot rim. The important things to remember are that you want to use good, sterile soil, and to eliminate all of the air pockets around the roots. You will probably lose some more fronds before you are done, because of shock and root damage, but just trim them off, and the plant will recover on its own. If you would prefer to divide the plant, you basically follow the same procedure. You can either cut the root ball vertically with a sharp butcher knife in half or quarters, or you can use your hands and seperate the roots. Cutting with the knife is easier and will do considerably less root damage. Grow lights are special bulbs which are designed to imitate natural sun light. Plants need both red and blue light to thrive, which they get from natural sun light but it is not available in normal light bulbs. There are several companies which produce these grow lights in florescent tubes and standard bulbs. Using artificial light will enable you to regulate the amount of time that your plants receive the light, which should be between 12 and 16 hours a day. In some instances it is very convenient if the plant you are growing relies on seasonal changes to induce blooming, such as with Christmas or Easter Cactus. 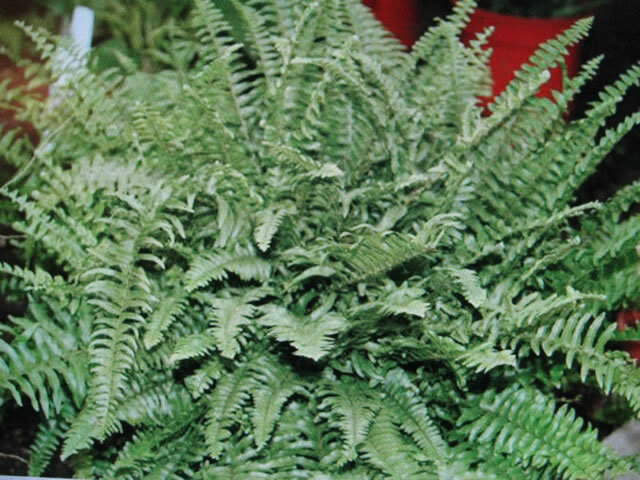 If you are growing your fern in a room with a lot of indirect, bright light you don't necessarily need the grow lights, but they sure can't hurt since the plant obviously did well under them.